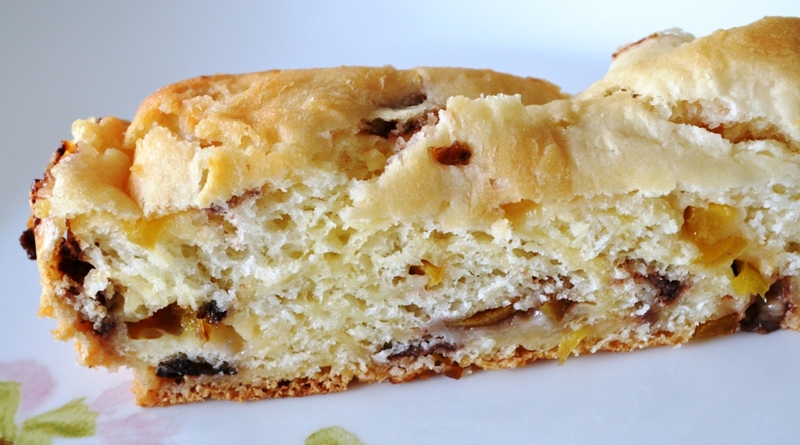 The recipe comes from “Seelenschein”, a user in a German recipe forum. Here is the original link, in case you are able to read German or just want to check that I am not making this up. Tip 1: I had no apple sauce at hand, so I just used a bit more milk. You should have a bit more milk handy anyway to add if your dough is too dry. Take 100ml of the milk and heat it slightly. Make sure it is not too hot, otherwise the yeast will die. Mix with yeast and salt and set aside. While the yeast is rising, mix flour, soft butter, sugar, and vanilla. Either you do it by hand or use a machine. Tip 2: You can use as much vanilla as you like but I would recommend not more than 1 tsp. Once the yeast is bubble you add that with the rest of the milk and apple sauce to the mixture and knead until you have a soft dough. Not too long though. Place in a bowl greased with a bit of oil and place in a warm spot with no draft. The dough should double. Tip 3: I would recommend Dr. Oetkers vanilla pudding because that’s what most Germans would use. If you use local pudding you might need to use only have (for about 400ml). You might also omit the extra sugar, which is needed for the Dr. Oetker pudding. Make pudding according to package and to your taste. Add more vanilla if you like, otherwise omit. Let cool down and cut up nectarines. You should add those to the pudding shortly before you roll out the dough. Remove the dough from the bowl onto a surface dusted with flour. Slightly pad it before rolling out into a rectangle. 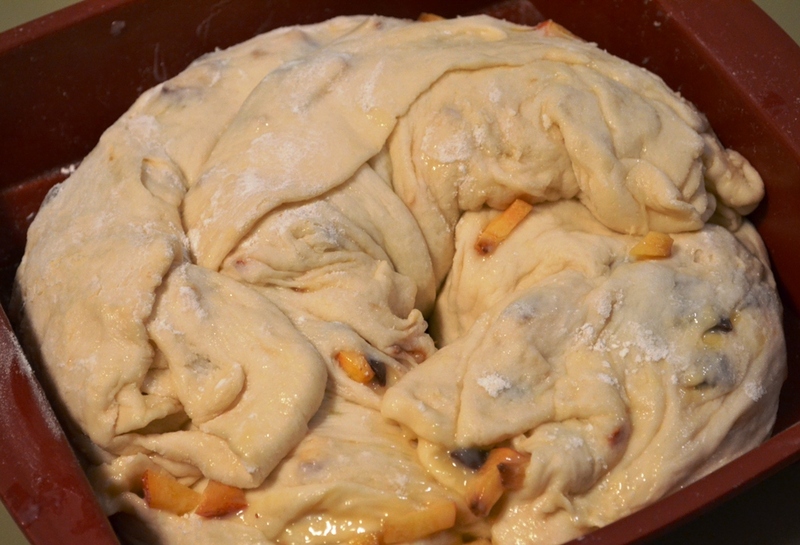 Make sure it is not too thin or the dough will tear when you roll it up. 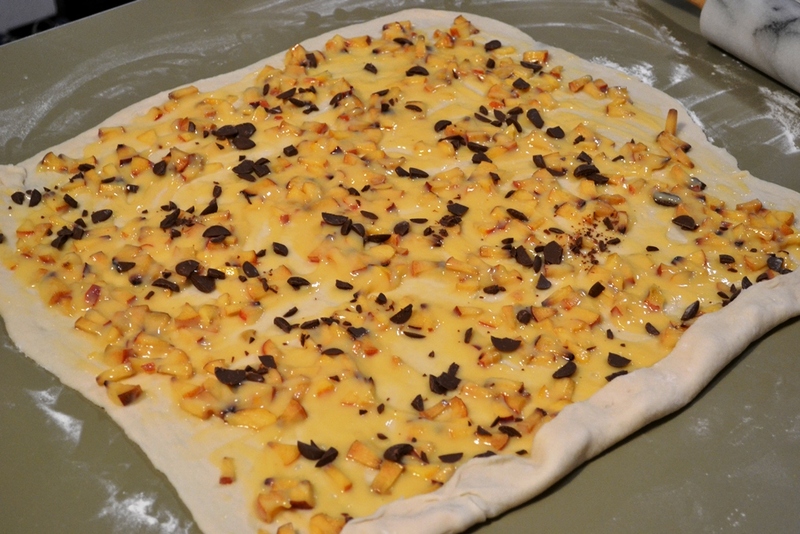 Spread the vanilla pudding-nectarine mixture equally on the dough and sprinkle the diced chocolate on top. 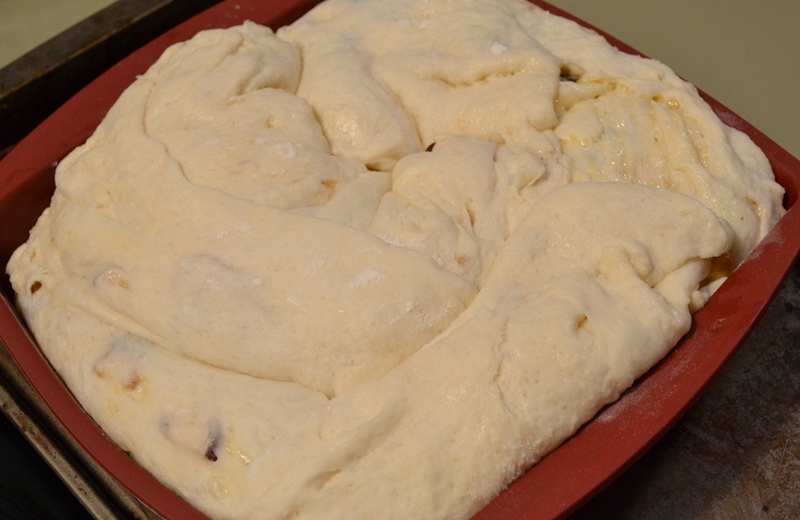 Then carefully roll up the dough and cut in half. 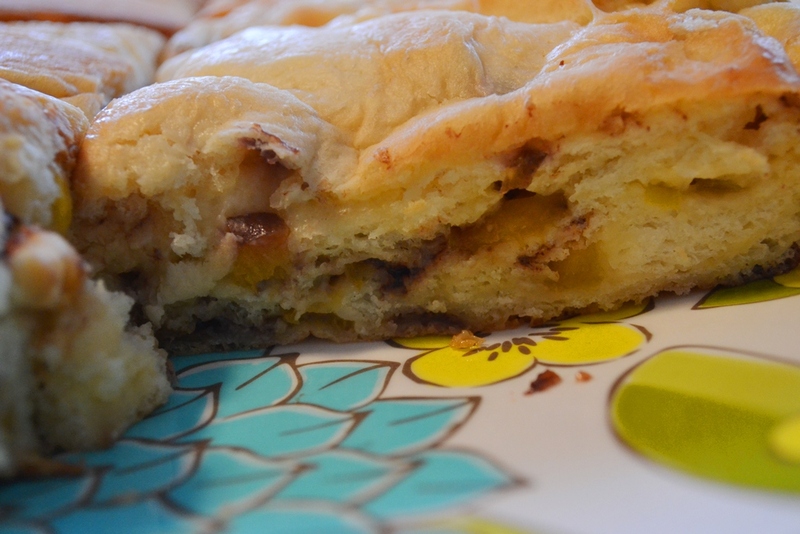 Twist both halves together, if possible, and place in a baking pan (square or round – greased with butter and dusted with flour or lined with baking paper). Let this rise for another 30 min. in a warm spot before baking at 180C for 30 to 40 min. Since the filling is pudding it will be difficult to determine if the braid is done by the skewer method. If the top has a nice even brown colour it is likely to be good. Brush with butter and let cool off. 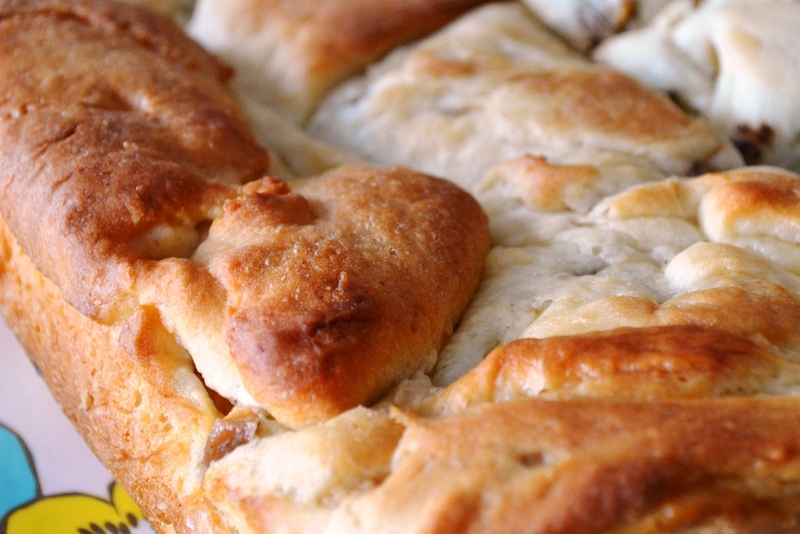 You can surely use other fruits with this yeast braid cake/bread. Apples are probably as good as peaches. You might also add some spices if you like.